It’s official: parenting reduces us all to head-scratching buffoons. Having only recently become a parent, I can absolutely relate to others like me who have spent most of their time as a new mother or father in a state of utter confusion. And with the passing of the months, you’d think things would get easier… when in fact they can often get a whole lot harder. A classic example is sleep. As the stable foundation upon which a healthy, happy baby is built, how much sleep your little tike gets is critically important. Then there’s your sanity to think about. As the sleepless nights and restless days stretch on, it’s virtually impossible to think straight, and as time goes on you begin to find it harder and harder to laugh or even crack a smile. You need your little one to sleep almost as much as she does! I didn’t fully recognize just how important sleep was for our little one until she was close to three months old. We’d just returned home from a six-week trip around Europe for my brother in law’s wedding and father-in-law’s 60th celebrations, and our little girl Isla was beginning to show signs of chronic tiredness. Out of necessity, we carried her around the cobbled streets of Greece, Croatia and the U.K. virtually nonstop, with her snatching some shut-eye whenever she got the chance. However, upon returning home, it was clear that a change was needed. Isla would only sleep a few hours at a time during the night, she flat-out refused to nap during the day, and she was probably getting about six hours less sleep per day than she should have been getting for her age. I was starting to get worried that her mental and physical development was at risk due to lack of sleep… and it turns out I was very much justified in my worries. The more researchers examine the many facets of infant sleep, the more critical it seems to become. The sum of all the information implies that learning to sleep properly “may be critical adaptations to promote infant survival.” You don’t say! But it goes beyond simple survival — if you want a smart child, you need your baby to sleep as much as they can. Studies show that the better your infant is at sleeping (both at night and during the day), the higher their cognitive score. 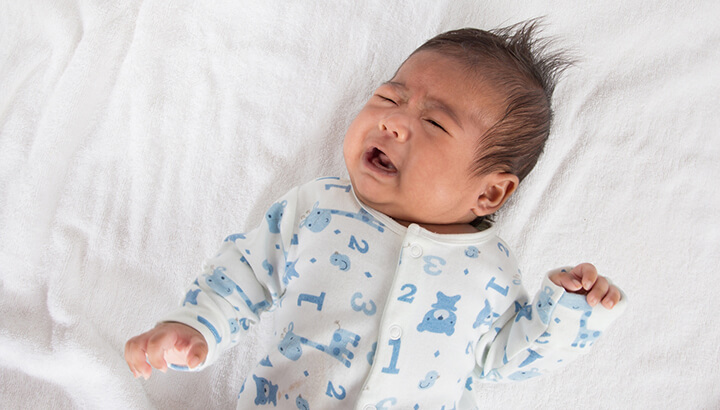 At the other end of the spectrum, studies that compared well-rested and tired babies demonstrated that the tired bubs were more easily frustrated, and became more distressed following a brief separation from their mothers. Don’t even think about showering, washing or going to the toilet without your little one attached to you! And then there’s the research that indicates infants who get less sleep over the course of a day have a higher risk of being overweight at the ages of three and above. 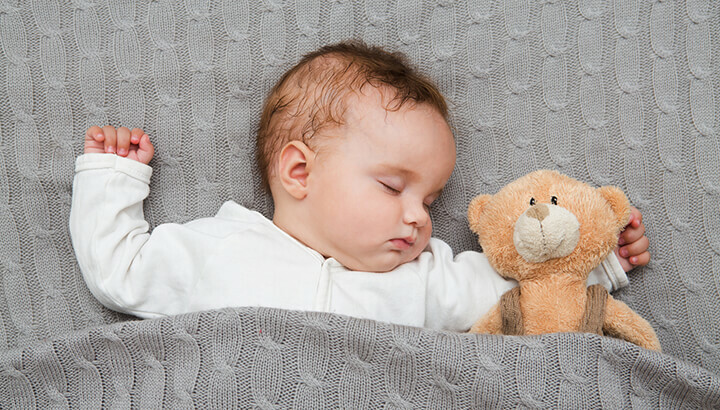 Sleep is important, but how can your baby get more of it? The cry-it-out method could have long-term effects. Most parents around the world recognize just how important sleep is for their child, but unfortunately, a lot of them are going about it the wrong way. In much of the developing world, parents solve the problem of infant sleep simply by carrying their baby around with them everywhere they go. If they walk to the well to fetch water, the baby rides along with mom, secured to the hip with her free hand. If mom has to go out and work the fields or tend the goats, baby gets chucked in a sling and accompanies mom on her errands. Her infant sleeps as much as she needs to, and never suffers the trauma of being left to sleep on her own. But in the Western world, carrying our babies around with us isn’t really an option. Many of the activities we do during the day don’t permit having bubs attached to us, and many moms have to return to their jobs a few months after birth. This self-sleeping requirement has produced two major opposing factions in the parenting world: the cry-it-out group, and the soothe-to-sleep group. Both, in my opinion, have fundamental flaws. Hundreds of studies performed in recent years have highlighted major issues associated with the cry-it-out method. This approach, in which parents put their baby into bed at the designated sleep time and simply leave the room, allowing their infant to cry themselves to sleep, can be quite damaging to your little one’s mental stability and development. For example, multiple studies show that extreme stress during infancy — the same stress experienced when a baby is left to cry alone at bedtime — is associated with an enlarged amygdala.This is a feature of the brain that suffers from chronic anxiety and rapid stress response; invariably brought on when a baby is left on her own to “go to sleep.” Perhaps of even more concern, an enlarged amygdala has been associated with certain autism spectrum disorders. Ultimately, babies subjected to the cry-it-out method are more likely to grow into unhappy, high-anxiety adults… not really what you were going for, right? In the case of the soothing-to-sleep approach, no scientific evidence is needed: it’s just plain annoying! I vividly recall spending hours every day simultaneously rocking and shushing Isla to sleep, often several times during the night. After she eventually went to sleep, I’d put her down oh-so-carefully, only for her eyes to pop open the instant her head touched the cot! This approach isn’t sustainable, it doesn’t help your baby put herself back to sleep when she wakes after every sleep cycle, and it’s not teaching her the value of learning to sleep on her own. Plus if you do it in public, you look more than a little ridiculous! Our approach: it ain’t perfect, but it’s a whole lot better! Stay in the room when you put your baby down. Despite their flaws, both sleep methods had their own appeal to me. I liked the way I didn’t have to invest hours of my time into getting Isla to sleep with the cry-it-out method, yet I felt much more comfortable soothing her to sleep in a gentle fashion. There had to be some kind of middle-of-the-road approach! One day, I found it. I stumbled upon a blog that explained how babies don’t experience the same stress response if you’re still present in the room when they cry. It explained that while crying on their own certainly wasn’t beneficial to their health, crying in the presence of their parents is. I had an idea: why not put her down to sleep but sit beside her, providing emotional support but not actually physically soothing her to sleep? The next day, we began the routine. As nap time approached, one of us would read to her, saying keywords like “it’s almost sleepy time” as much as possible, then we’d swaddle her while playing calming music and Will would take her to the bedroom. Then, in a darkened room, Will would sing to her for a minute or two then place her down to sleep, saying “it’s sleepy time, I’ll see you when you wake up.” At the beginning, Will simply placed his hand on Isla’s chest as she grumbled and cried, then after a few days he simply sat with her, gradually moving his chair further from the bed the more used to the routine she became. With the same pre-bed routine, Isla soon learned when nap time or bedtime was approaching, so she didn’t receive a nasty surprise when she was plonked in bed. Then she was given the chance to go to sleep on her own, but with the supportive presence of a parent in the same room, within sight. While it took three to four weeks to achieve, Isla went from getting around nine hours of sleep per day to around 14, and she generally goes to sleep within ten minutes of being put down. Even more importantly, when she wakes up on her own, she doesn’t freak out, and often puts herself back to sleep. That means only one wake up for feeding per night — I call that a definite win! Give this method a go and see how it works for you. It’s a worthwhile investment in the health of your child and your own sanity! Previous articleWould You Take A Digital Pill That Allows Others To Track Your Medications? Hey Buddy!, I found this information for you: "If Your Baby Can’t Sleep Without You, Try This Method". Here is the website link: https://www.thealternativedaily.com/this-strategy-helps-my-baby-sleep. Thank you.